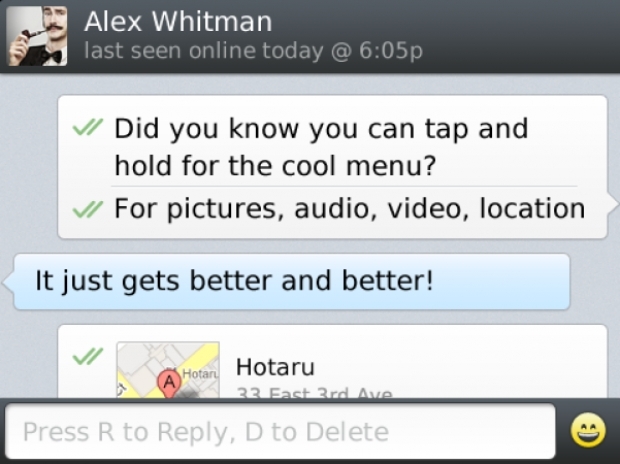 WhatsApp calling now official on BlackBerry 10 | BlackBerry Blast! WhatsApp has been updated to version 2.12.1.2 and the new update makes voice calling official. A couple of days ago WhatsApp announced voice calling support for Windows Phone, and now the company makes the BB version official too. Voice calling has been available in previous beta versions, but it is now official with the latest update. WhatsApp's latest update also brings bug fixes and improvements to the chatting app. Hit the BlackBerry App World to download your copy today.